Wheat beer brewed with coriander & orange peel. Naturally cloudy. 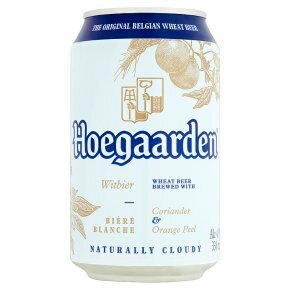 Drink the Hoegaarden Way 1 Chill 2 Pour two-thirds 3 Swirl 4 Top off and enjoy!